GIMA was brought into existence to honor the incredibly talented musicians for their contribution in various categories. Like every year, the best musicians were awarded which added one more feather to their caps. Below is the complete list of winners. The night saw beautiful performances. One such was when the look-alike of Sonam Kapoor came up on the stage. The combo of Arjun Kapoor and Ayushmann Khurrana gave an enjoyable ride to the audiences. They entertained sufficiently. Arijit Singh became the star of the evening. Arijit Singh’s song and singing touched the hearts of the viewers. He was awarded many awards in different categories. He got and became the Best Live Performer, MTV GiMA Duet of the year, Most Popular Radio Song of the year, Best Film Song and Most Streamed Song of the year. 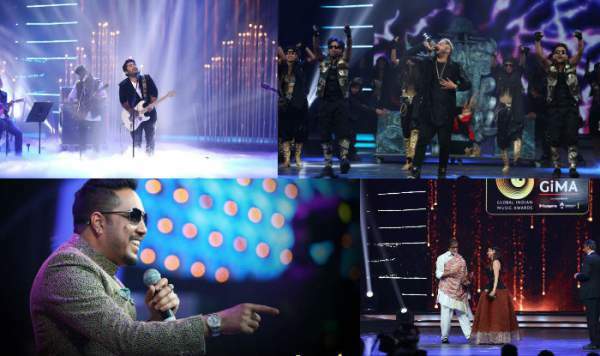 Yo Yo Honey Singh made his come back to the GiMA and sung his song Dheere Dheere reprised version. It won him the Best Pop Song of the Year. The Best Music Debut went to Arjun Kannugo, who bagged the Jagjit Singh Award. Best Hindustani Classical Album – Instrumental: “Moods” (Rhythm Express) by Pandit Vishwa Mohan Bhatt and Pandit Prodyut Mukherji. Stay tuned for latest Bollywood news.